Particularly this design is very dignified it suits everyone. This Dress is almost preferred by every person. It looks modern and trendy. 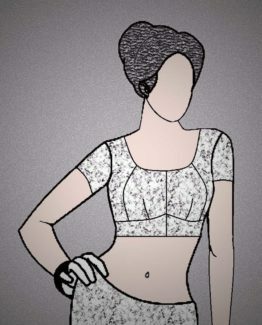 Note: The Drafts are designed based on the Dress(Kurthi) Pattern shown in the image. You can add extra glamour to the Dress(Kurthi) by doing some Aari Work, Embroidery Work, Hand Works etc. 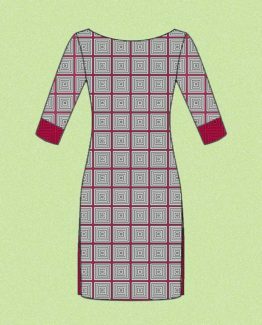 This Dress(Kurthi) Draft fits best only if you pick your size correctly. 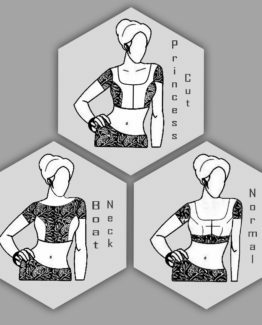 To know your Dress(Kurthi) size, visit the link: How To Select Your Size. Once you download the Dress Draft, then use “Winrar Software” to extract the RAR file. 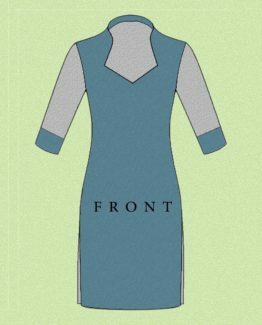 Just take the print out on an A4 Sheet in Landscape mode, Every Downloaded draft contains Blue Print, so strictly follow that blueprint & cut your blouse accordingly as shown in instructions page link: Instant Dress cutting.